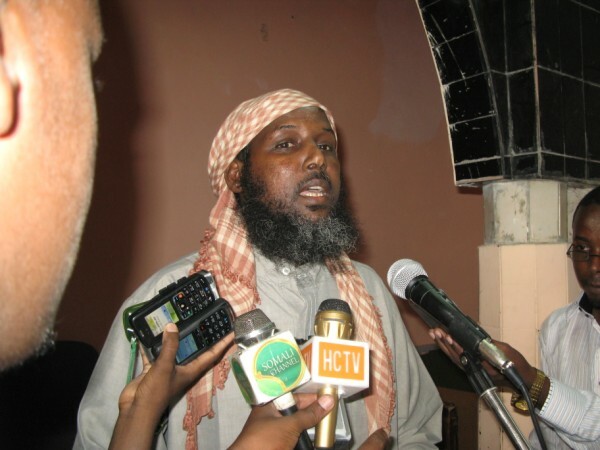 The report stated that Sheikh Mukhtar Roobow ‘Ab Mansoor’, a senior Al-Shabab leader had fallen out with the group’s leader Abu Zubeyr and pulled out his troops from Mogadishu. The dispute, as the report alleged, arose from the employment of foreign Jihadists, thought to be exporting their Jihadi experiences from Afghanistan and Iraq, in Somalia and then descended along the clan lines which eventually led Abu Mansoor to break away with a large contingent of troops from his native Bay/Bakool region. And like the population living here, the local radio stations too were split on the matter: the stations whose political inclination was towards the government immediately upped the ante and disseminated the news to their benefit, inviting an array of callers to their shows and, of course, a torrent of criticism for airing unfounded rumours. The other media houses, either independent or allied with Al-Shabab, did not rush to report on the incident, some even brushing it off as ‘baseless propaganda’ from the government’s agencies. To clear the air and dispel the rumours, Sheikh Mukhtar Roobow ‘Ab Mansoor’, a man not known to offer complaisant smiles, made a public appearance yesterday. 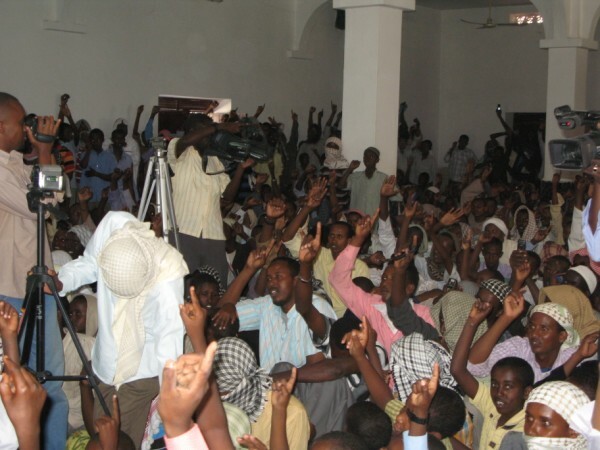 Speaking to a large crowd after Friday prayer, the Al-Shabab leader denied all reports that he has withdrawn his troops from Mogadishu and pledged allegiance to his senior, Abu Zubeyr and more importantly to Al-Qaeda leader, Osama Bin Laden. But propaganda is a tool employed by both sides in this war and is often unashamedly conspicuous. In a battle to crystallize the people’s thoughts through the effective use of propaganda, the population here is largely expected to comply, for the greater good, and do so without protest. And with the aspect of journalistic ethics and standards seemingly alien to the Somali media, propaganda is here often packaged as news, with many controversial or even counterfeit reports often broadcast to shape up the opinions of the population or to simply quench their endless thirst for news. This in turn attracts an influx of listeners and some rather engaging discussions. And of course, just as much as the African Union peacekeepers pound the Bakara market on a daily basis with the connivance of the Somali government, the dissemination of this propaganda, too, often falls under the direct supervision of the Ministry of Information. The Somali government is in dire need to get rid of Al-Shabab and they can do so, they believe, by intentionally propagating their ideal form of news, though often incredible, and thereby shaping or governing public opinion. The situation has now unfortunately metamorphosed into a stage where every means is justified to achieve the intended result. But by their process of public misinformation, the majority of Somali politicians, though some of them seem quite earnest and sincere, are not fully appreciative of the situation on the ground or they are willfully ignoring the present facts. And it is this inability to rationally comprehend the situation and understand the dynamics that are at play here in Mogadishu that precludes them from responding to the political pressures appropriately or delivering the expected. The vigorous struggle by the media, both local and international, and the Somali government, along with the African Union forces, to sow the seeds of sedition among the Islamists, in order to trigger their disintegration or total collapse, has been operational for quite some time over the years, yet the problem still persists – the seeds never seem to germinate!